We are a full service flooring company located in Seattle that can provide you with both materials and installation of virtually any type flooring available on the market today. We have accounts set up directly with the manufacturers, enabling you to save money by buying direct. You can shop in our showroom in Seattle, or have one of our Flooring Consultants bring samples directly to your home. 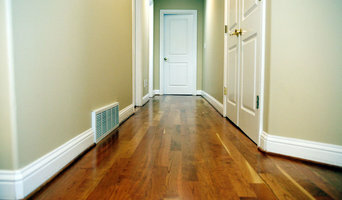 We also sand and refinish your existing hardwood floors, offering both Swedish, Water, and Oil based finishes. So whether it is Hardwood, Carpet, Tile, Linoleum or Stone, Dallas Watson Flooring is your inside connection to quality materials and expert installation. We are the cork people! Cork flooring is our sole focus. We have a large selection of natural cork glue down tiles, cork floating floor, cork wall tiles and cork underlayment in stock. Tacoma Floors is a Full-Service Residential and Commercial Floor Covering, Countertop and Cabinet Installation Expert . From our Craftsmen, to our Supplier's, Tacoma Floors Sells as a Broker to other Industry Company's, whether they are Independent Installers, Designers, Contractors, Flippers, or Even DIY Weekend Warriors, to name a few. 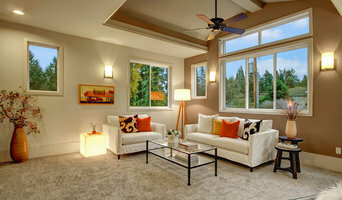 At Tacoma Floors we have the largest selection of products in the State Washington to choose from. We feel it is our job to present the best quality through the largest product selection that meets any budget. We believe that treating all people with absolute respect, care, and kindness are the keys to our success. Treating our Craftsmen/Installers, Inside and Outside Sales/Servicing Agents and Vendors is where our customer service experience begins. The Vendors we have providing our quality products, timely service at value pricing, allowing us to offer those savings to our customers. In the end, having these great people within our team allows us to better serve everyone! Founded with the singular desire to invent new and better flooring products, T&A Supply is consistently recognized as one of the most innovative and dedicated companies in the flooring industry. As a passionate leader, we never stop pushing the industry forward. And there is always something new to get excited about. T&A Supply Company is a family-owned and operated wholesale distributor that has been serving the Pacific Northwest since 1960. Today, our robust distribution network and over 410,000 square feet of warehouse space spans across the Pacific Northwest with over 18 branches across Washington, Oregon, Idaho, Montana, Alaska, and Hawaii. Our focus has always been to provide quality products and the most innovative flooring solutions to those we proudly serve—the residential, commercial, design, and installation communities. We represent Mannington, Roppe and our very own TAS Flooring collection and many other flooring and installation products. Please contact our award-winning customer service team at (1+800) 562-2857. Pro Flooring, LLC established in 2005. Specializing in all facets of the flooring industry. Paying special attention to craftsmanship and detail, PFL is always ready to tackle even the most difficult task. 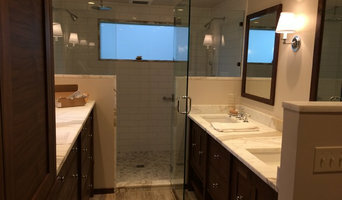 Working in residential/commercial flooring installation & sales of flooring products, we focus on... Sanding Refinishing Hardwood Repairs Laminate Floors The company has grown to include services for... Tile Carpet Vinyl Custom work Pro Flooring, LLC serves the Greater Seattle/Puget Sound region. Available 6 days a week to accommodate all of your flooring wants and needs. When you need a professional installation or a new floor, you can count on us! Contact us for a FREE measure/estimate or stop by our Renton showroom for your next flooring project!